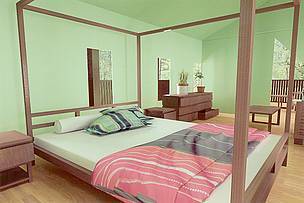 The community homestay in Mondulkiri Protected Forest's Dei Ey village received its first guests in November 2009. Ecotourism offers one of the most sustainable means of making substantial economic returns from investing in wildlife conservation. The Royal Government of Cambodia, along with WWF and other NGOs, is testing tourism development as a way to conserve wildlife and contribute to economic development in Mondulkiri Protected Forest. Since 2009, a small-scale community-based homestay experience is now operating within Mondulkiri Protected Forest. Guests can enjoy a hospitable stay in the village of Dei Ey, an ideal starting point for overnight forest tracks on foot. As part of this homestay, WWF has trained community members in topics like hospitality, cooking, and weaving. 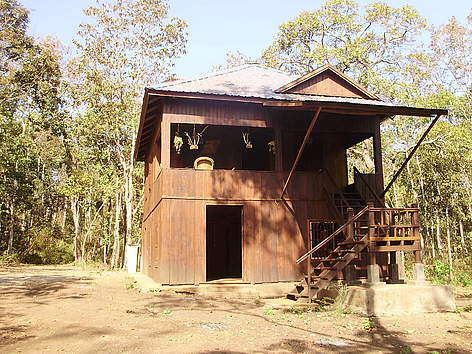 In addition, an African-style tented camp is planned to begin receiving visitors in the remote Srepok River area of Mondulkiri Protected Forest in 2011. WWF-Cambodia hopes that Ecotourism can help to create additional opportunities to sustain community livelihoods in the landscape, to raise awareness among community members about the value of forest and wildlife, and to co-finance protected areas. Try walking the Srepok Discovery Trail. Visit the Department of Tourism to explore Ecotourism in Mondulkiri. Since 2009, a small-scale community-based homestay experience is now operating within Mondulkiri Protected Forest. Guests can enjoy a hospitable stay in the village of Dei Ey, an ideal starting point for overnight forest tracks on foot or on elephant back. As part of this homestay, WWF has trained community members in topics like hospitality, cooking, and weaving. 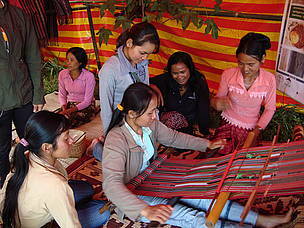 WWF organises trainings, for example in traditional weaving, to help increase community incomes from visiting ecotourists. The new ecotent-camp, shown here as envisioned by an interior designer, will combine modern amenities with a true wilderness experience on the Srepok River in Cambodia's Eastern Plains Landscape.